The steady increase in customer requests for personalized fashion and furniture pieces is placing constant strain on the business models for these manufacturers. Jon Wheat, Creative Director for Design in Rhythm (DiR) recently commented on the issue. "My clients, boutique hotel chains and the designers I work with at high-end luxury homes, all want something unique. They can't get it from the major brands, so they are turning to businesses like mine. But I couldn't keep up until I made the switch to digital." In order to showcase the workflow and the benefits of digital, ExactFlat, working in conjunction with industry partners GeminiCAD and Nextwave, recently completed an end-to-end showcase of the process mirroring each of the steps requested by DiR. During the initial phases of the process the client provides insight into the furniture piece they are looking for. Most projects begin with a conversation regarding the look and "feel" of the space as well as the piece of furniture being designed. The conversation usually results in the selection of an "inspiration" model with requests for changes to specific features (ex. 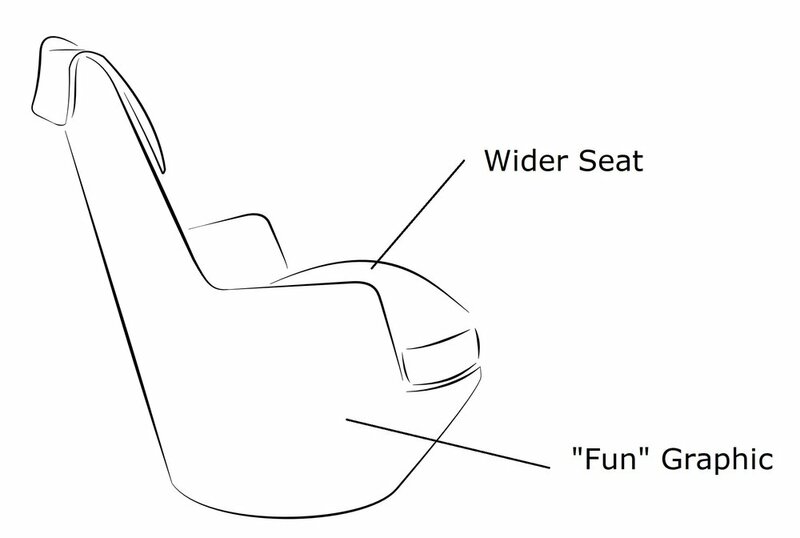 seat width, back height, material type, etc...). More and more frequently, the clients are interested in custom graphics used to tie the piece to the look of the space. Requests for short production runs of custom designs are becoming the norm. Digital Patterning and Production make the vision possible today. In the digital environment all of the changes and customizing are completed on a 3D Design model. 3D CAD software, sample models and expert users are ubiquitous. This makes it easy to first capture the design, then present a concept for the piece, and then to quickly edit the model until it meets the needs of the client. The approved 3D design is then prepared for production by the pattern maker. Cut lines and seam locations are defined and the model is ready for flattening. 3D to 2D pattern flattening is automated using the digital patterning tools available in ExactFlat Monarch. 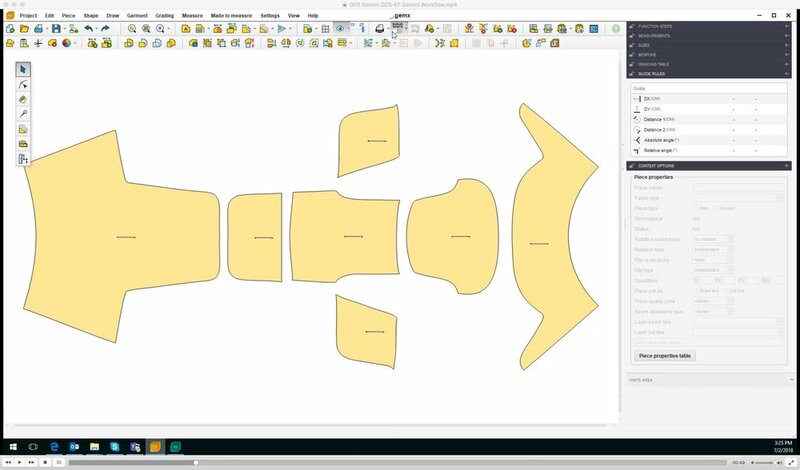 Pattern pieces are optimized and Strain and Sag plots are used to ensure pattern fit. Graphics are applied to the digital model with perfectly aligned flow matching across pieces. The 3D design provides the "master" model for the process. Changes made to the model can be implemented in the cut line and graphics texture map in minutes saving time and reducing the chance of production errors. Cut line, seams(left) and graphics(right) all included in one "Master" model and all aligned perfectly. The last stage of the pre-production process is pattern engineering. In this phase the pattern details such as seams, edge labels, notches and piece tags are added to the 2D pattern. And again, since the master model includes associations between all of the pattern pieces, their relative orientation and edges, changes on one piece are automatically reflected in all of the adjacent pattern pieces. There is no need to manually track and edit the pattern. Nesting software helps design teams optimize material usage. The tools provided within GeminiCAD automate the process, replacing the previously difficult and time consuming manual material waste discovery method. Once the pattern engineering and optimization is complete the job(marker) is ready for the printing, cutting and assembly production steps. We will walk through that portion of the process in subsequent articles. To learn more about how your business can utilize digital patterning and production tools to address your on-demand product needs click on the link below. You'll be able to schedule a time to meet with one of our experts to discuss the best solution for your needs.